The life of Thelonious Monk is a funny story, this was one strange dude! 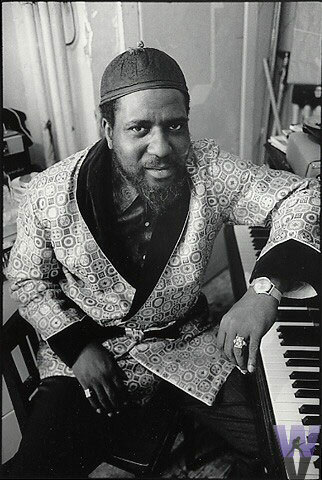 The cat had his own way of looking at life and music... Monk was a true "way out" cat who played a true original style. Thelonious Monk is considered one of the most important musicians in jazz, Monk had a unique improvisational style and made numerous contributions to the standard jazz repertoire, including "Epistrophy", "'Round Midnight", "Blue Monk", "Straight No Chaser" and "Well, You Needn't". 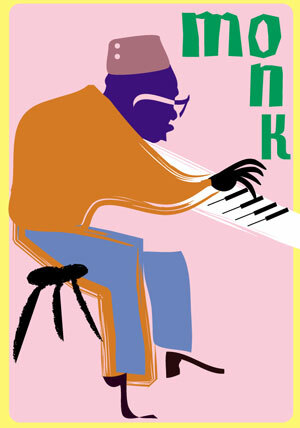 Monk is regarded as a founder of bebop, his playing style later evolved away from that form. His compositions and improvisations are full of crazy, off-beat harmonies and melodic twists. The cat just had an unorthodox approach to the piano... a kind of start and stop and lurching feeling but it makes you laugh out loud. A freedom that is a bit silly and profound at the same time! My man pounded the keys with a highly percussive attack with abrupt, dramatic use of silences and hesitations.